Michelle Funkenbusch is a former trucking defense lawyer and former member of the Trucking Insurance Defense Association. She learned the ins and outs of tractor-trailers, their braking systems, the Federal Motor Carrier Safety Regulations, and how trucking companies defend cases. She now uses those skills as a trial lawyer for victims of tractor-trailer accidents. In December 2010, Michelle was part of a trial team that obtained a million dollar plus verdict against Fed Ex Ground and a highway line painting company. On appeal of a summary judgment prior to trial, Michelle and her team won against Fed Ex. The Missouri Court of Appeals agreed with Funkenbusch in that Fed Ex Ground could and should be responsible for the acts of their independent contractor drivers, as they retain the right to control many of the “means and methods” used by the independent contractors to do their jobs. A traffic accident involving a tractor trailer, 18-wheeler, semi truck or other commercial truck can result in serious physical injury and property damage. If you or a loved one has been injured in a truck accident, you may be entitled to compensation. It is important to contact an experienced truck accident attorney, like Michelle M. Funkenbusch, to discuss your case as soon as possible. 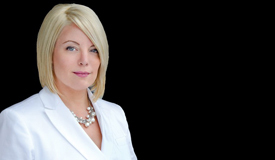 Having been on the “inside” of the trucking industry for 8 years, Michelle M. Funkenbusch has real trucking knowledge and is not just a self-proclaimed truck accident lawyer. She has attended truck braking seminars, taught other lawyers how to use the Federal Motor Carrier Safety Regulations, and has even written portions of books for the trucking industry. She is a master of the trucking industry and knows what makes trucking insurance companies pay. Having handled countless truck accident cases, including major wrongful death cases, she is prepared and experienced to handle your case. Unlike car-car accident cases, accidents involving commercial vehicles require special expertise. Don’t just hire any lawyer who claims to be a trucking expert; they just see big dollars. Hire a real trucking trial lawyer, Michelle M. Funkenbusch, 314-338-3500. If you have been injured in a Missouri or Illinois trucking or tractor-trailer accident, for a free consultation contact our law firm.